Everybodies favourite punkrock-n-roll band left Lookout! Records, and found home at the Stardumb premises. 6 new songs to prove that they are more alive than ever, and with great artwork as usual! The king and queens of ghoulish punk rock'n'roll are back for their second full lengths! 12 blast from the past, re-recorded out of print and hard-to-find monsterhits. 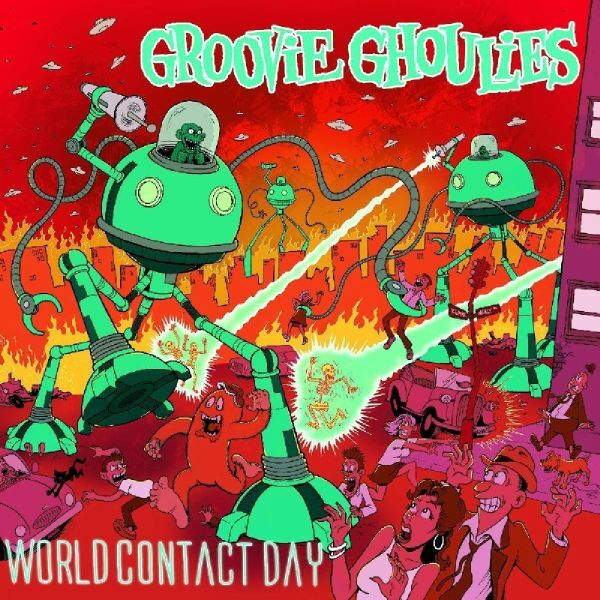 Features tracks like "Deviltown", "The Beast With 5 Hands", "The Blob", "50.000 Spaceships", "Running With Bigfoot" and more with the excellent sound quality from the Sonic Iguana studios and recorded by Mass Giorgini. 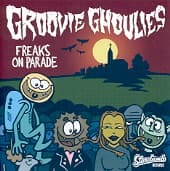 Along with Screeching Weasel, The Queers, Green Day and MTX, the Groovie Ghoulies (USA) was one of the bands that made Lookout! Records the defining pop punk label of the 90s. In the late 90s though, the label moved away from pop punk and slowly their old releases went out of print and became harder and harder to find. 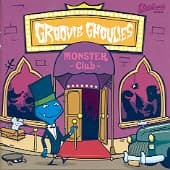 Finally, heres the re-release of the Groovie Ghoulies best selling album, originally released in 1996, featuring hits like "Running with Bigfoot", "Island of Pogo Pogo", "The Kids Go Go Go Crazy", "Ghoulies are Go!" and the Billy Bragg cover "A New England". Remastered and with awesome new artwork by Tom Neely (known for the "Henry & Glenn Forever" comics)!